The Church of Jesus Christ of Latter-day Saints builds temples for a unifying purpose: to bring people closer to God. 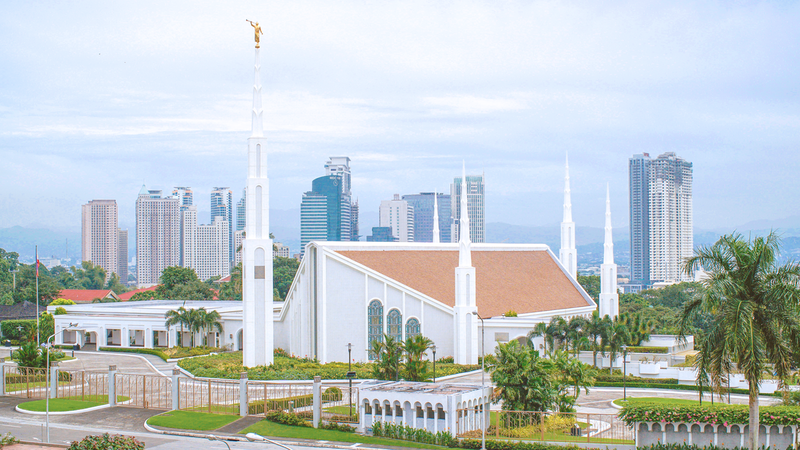 Manila Philippines Temple Latter-day Saint temples are sacred buildings that are dedicated to God. Members of The Church of Jesus Christ of Latter-day Saints, sometimes called Mormons, consider the temple as the holiest place on earth. A place so sacred that it aims to attain spiritual goals such as to learn more deeply about the gospel of Jesus Christ and to strengthen the faith of devoted Church members through gaining knowledge about God’s plan for His children. What’s the main difference between a temple and a chapel? Chapels are intended for regular worship during the Sabbath day, where everyone, regardless of religion, is welcome to join their offered services and activities. This is where families gather together for the main worship, and it serves as a venue for additional classes attended by children, youth and adults. Chapels are also the site for many activities of the Church during the week. On the other hand, Temples serve a different and special purpose. Only the dedicated and committed members of the Church who swear to live by God’s commandments can gain entry to the temple. The temple is where certain ceremonies and ordinances are performed by the Latter-day Saints through which they make sacred promises with God. These promises called covenants bind devoted members to special obligations and commitments. The main ceremony is called the endowment, where a pact is made between God and Latter-day Saints. It’s on this ceremony where God’s plan for His children are revealed and learned by the members, and moreover, where members promise to obey specific commandments. In return, God promises that those who make and keep these promises can enjoy eternal life with Him after this earthly life. In temples, couples and families can be sealed, or joined together for eternity. These sealing ceremonies will make family relationships continue after life here on earth. Families being together forever, even after death, is one of the greatest gifts promised by the gospel of Jesus Christ. The temple is where certain ceremonies and ordinances are performed by the Latter-day Saints through which they make sacred promises with God. Members who have received their own endowment are encouraged to return to the temple to act in behalf of their dead ancestors in making their promises. These include baptism for family members, who unfortunately were not able to receive that ordinance while they were still living in this world. What is the meaning of the temple open house and dedication? The term “open house” means that a newly built temple is open for the public to see and appreciate which can last for several weeks. People from all walks of life, even members of other religions, are welcome to take free tours of the temple. Here they can learn everything about the temple, including the sacred and marvelous work that will be done there. After the open house, a dedication ceremony will take place. This is done to commit the temple for the work of God. Typically, temple dedications include music and talks given by Church leaders, and as well as a dedicatory prayer by a Church leader. In this prayer, the Church leader dedicates the temple and asks God to bless it. After the dedication, only committed members may enter the temple. How can I enter a Latter-day Saint temple? There is a requirement for anyone who wishes to enter a Latter-day Saint temple after its dedication. To gain entry, you must be a faithful member of The Church of Jesus Christ of Latter-day Saints for at least one year. 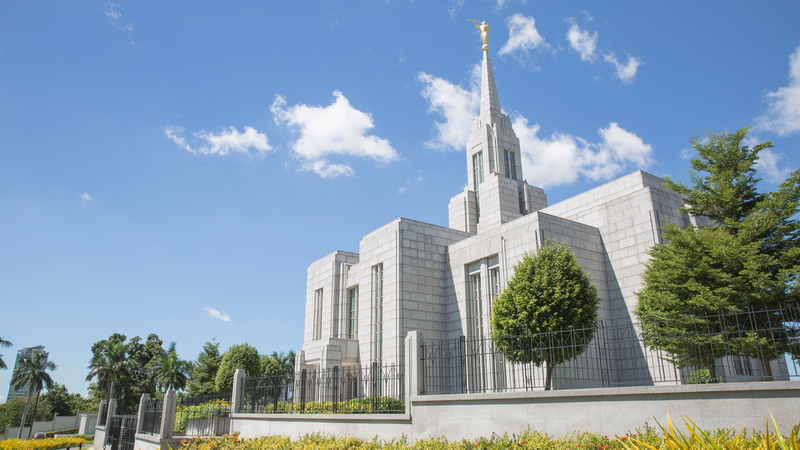 Many opportunities for temple open houses are offered to the public due to numerous construction or extensive renovation of Latter-day Saint temples. How can I learn more about Latter-day Saint temples? To know where a temple open house can be held or to learn more about Latter-day Saint temples and how they are part of God’s plan for you and your family, visit mormon.org or lds.org/temples.